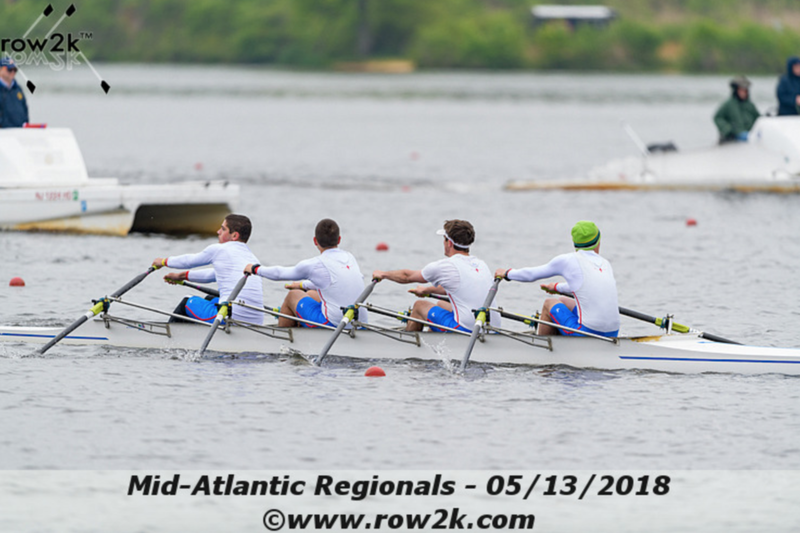 West Windsor, New Jersey - The Rockland Rowing youth team finished the regular season on Mother's Day at the USRowing Mid-Atlantic Youth Championships earning two medals and three invitations to compete in the USRowing Youth National Championships in Rancho Cordova, California. Automatic bids are given to the top three eligible crews in the grand final. 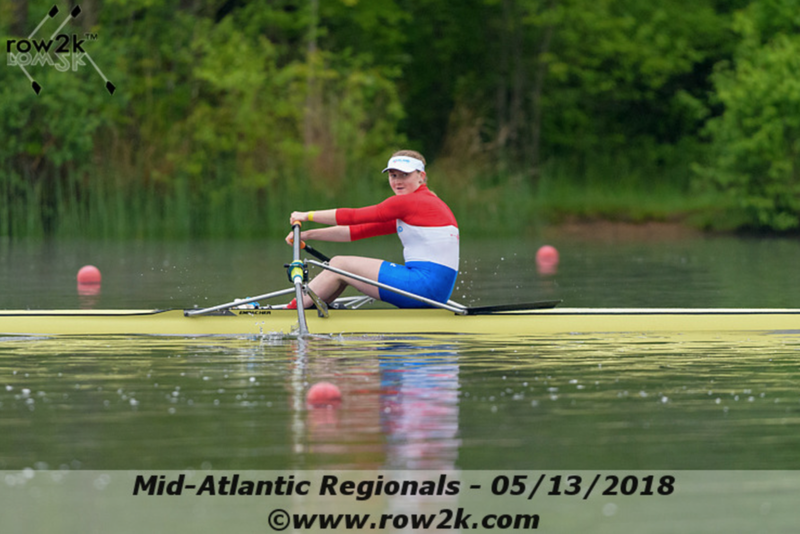 Rockland received the first of the three bids in the girl's varsity single sculls after Gabriele Welp IHA '19 had an open-water victory in the grand final with a time of 8:42.153 ahead of second-place Germantown Academy (8:56.854) and four others. 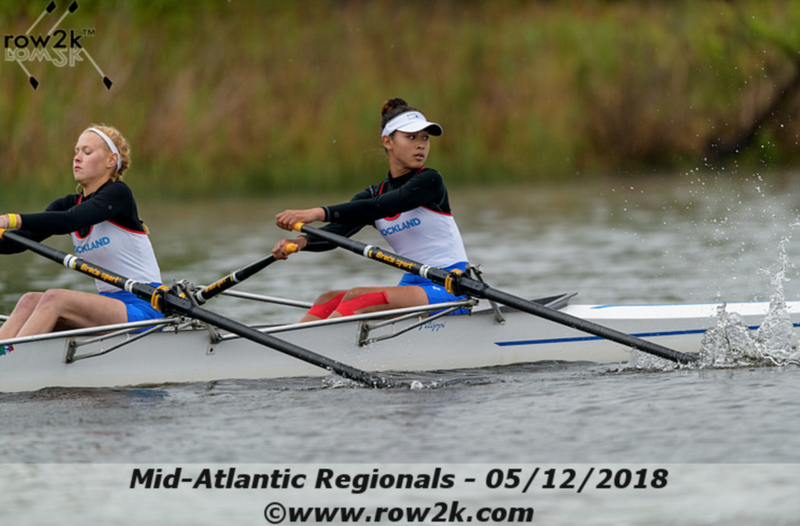 This is Rockland Rowing's third time claiming the regional title in the girl's varsity single sculls event in the regatta's nine year history. Cassidy McGovern Tappan Zee '16 won in 2016 and Shannon Pritzker Clarkstown '15 won in 2015. The second bid received was in the boy's varsity quadruple sculls. This is the first time in program history for Rockland Rowing that this event has been qualified. The crew finished fifth-place in the grand final and third among eligible teams to earn a bid for the national championships. The lineup was stroke seat Billy Grippi Tappan Zee '20, Jake Bardorf (3) Clarkstown South '19, Anthony Feteira (2) Clarkstown South '19 and bow seat Matt Davidson Clarkstown North '19. The boy's varsity double sculls was the third bid received for Rockland Rowing. This is also the first time in program history for Rockland Rowing that this event has been qualified. 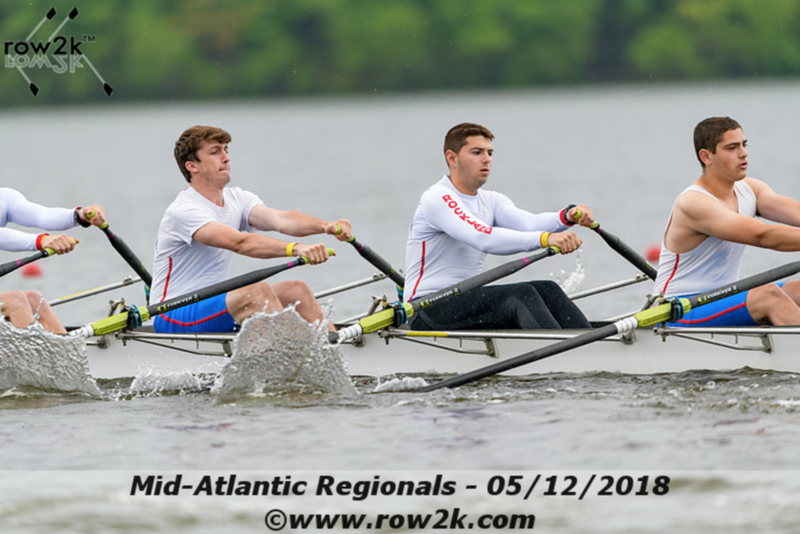 Stroke seat Anthony Rostek Tappan Zee '20 and bow seat Ryan Almond Clarkstown North '20 finished in fourth-place in the grand final in 7:38.426 less than one second off third-place, Navesink (7:37.972). First-place was Baltimore (7:32.698) and second-place was South Jersey (7:35.100). 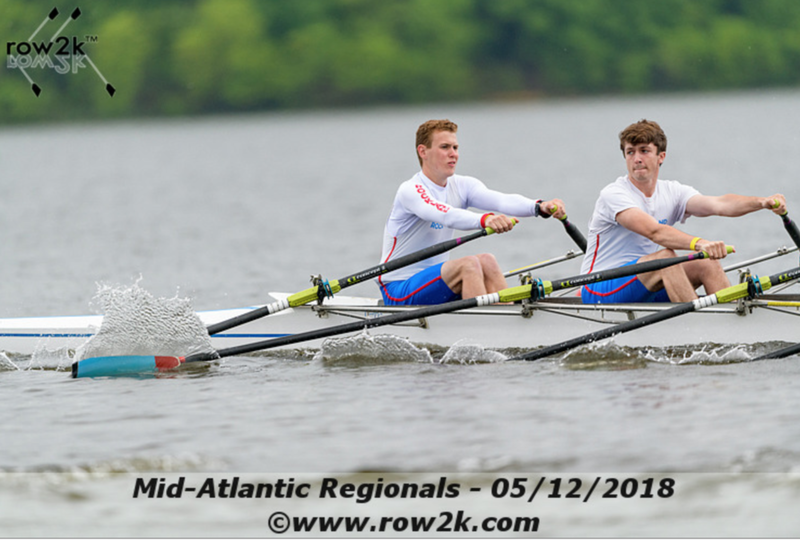 The duo was eligible for a roll down bid because they met a time standard having finished within five seconds of the last qualifying crew and one of the top-three finishing teams declined their bid to nationals. 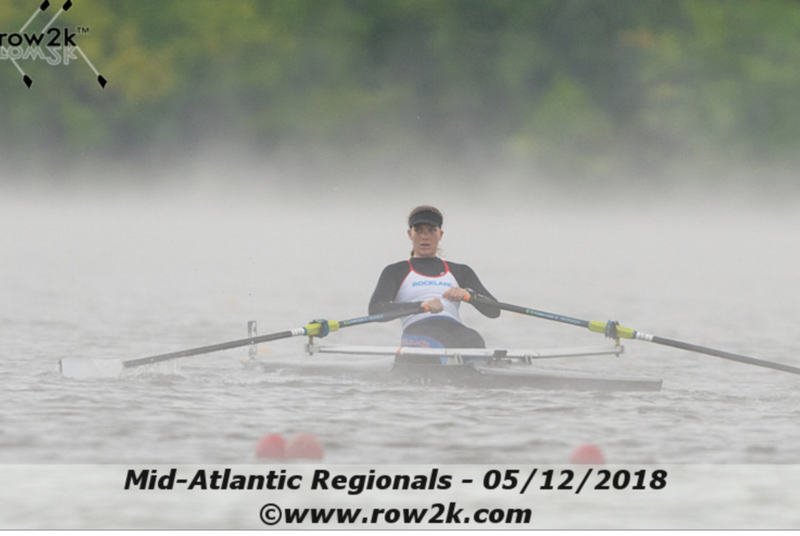 In the girl's under 17 single sculls final, Celeste Voutsinas-Klose Nyack '20 took on South Jersey and Conestoga and emerged with a runner-up finish. Voutsinas-Klose placed second with a time of 10:32.851. South Jersey (10:16.783) was victorious while Conestoga flipped and did not finish.